A few hours after the Next Galaxy announcement last week when we learned the Galaxy SIII was official, the other Korean handset maker had a nice quiet announcement about their new flagship phone as well. LG quickly pushed out information about the Optimus LTE2 and attempted to wow the masses with the fact that it sports 2GB of RAM. Now we’ve got some leaked pictures of the phone and some information to see if there is anything else interesting about this phone. 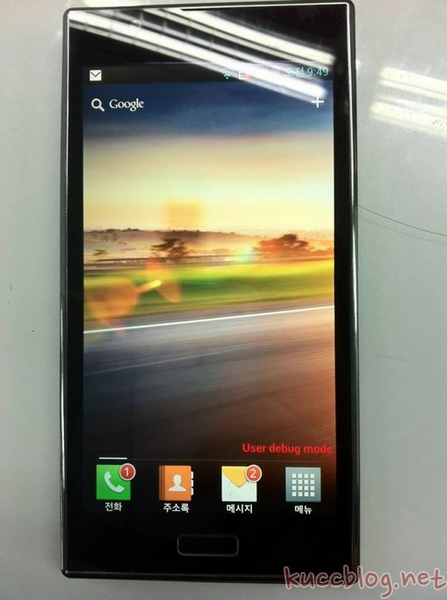 At first glance, looking at this phone you would think that it is the international version of the Galaxy SII, and it makes LG’s obsession with Samsung pretty apparent. We learned what we didn’t know before and that was the question around the chipset in this phone. It has a dual-core Snapdragon S4 processor with a 4.7″ True HD IPS screen on top. 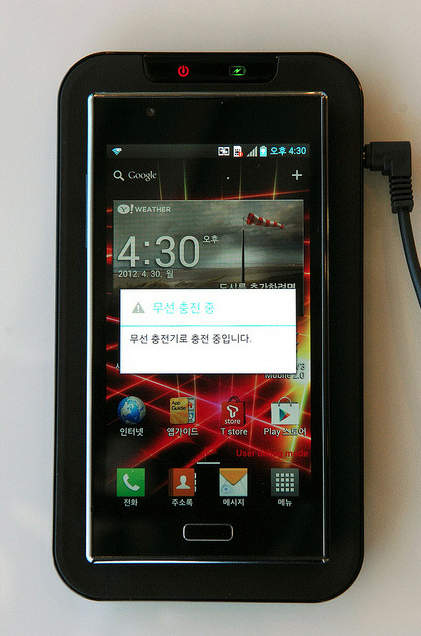 It is running LG’s skin over top of Ice Cream Sandwich and has a 2,150mAh battery inside. There are even leaked pictures of LG’s own wireless charging accessory for this new phone, something that Samsung also announced at their press conference. There are plenty of more leaked photos at the source link below, but this leaves us thinking. This all sounds good on paper but with LG’s track record they just haven’t been able to relate the specs into good sales in the US. There is a stigma about the brand that they need to shake. Do the specs for this phone sound good enough for you to give it a look? Google Releases New G+ App for iOS, Says Android Version is "Coming in a Few Weeks"